The new iPad brings with it the option for a new, dual radio that brings with it 72Mbps LTE on AT&T and Verizon in the US and Rogers, Telus, and Bell in Canada. Sadly, there's no international LTE support for Australia, Asia, or Europe yet, perhaps due to the differences in LTE segments around the world. 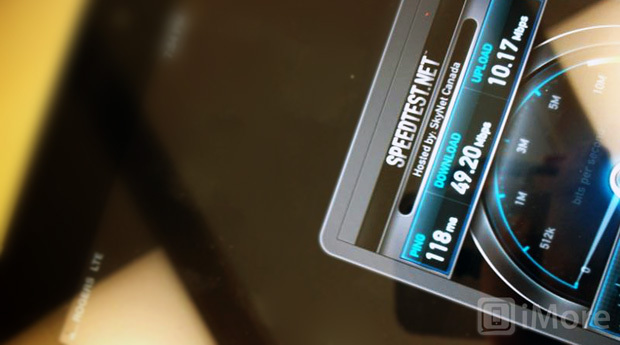 However, the new iPad also brings a new 42Mbps HSPA+ radio for AT&T, Canadian, and international carriers that support it. (Technically dual 21Mbps HSPA+ radios.) Those are theoretical speeds though -- what you get in a lab when alone, sitting on top of a tower. In the real world we're often lucky to see half the theoretical speeds, and often considerably less. That's why we put them to the test. Now switching back from HSPA+ to LTE has proven to be a problem for me. I don't know if it's because I have really strong 3G and really weak LTE, so once the radio gets a taste of that stronger signal it won't let go, but even if I cycle LTE on and off, cellular data on and off, or Airplane Mode off or on, LTE just won't come back. All I can do is wait for a while (several minutes) for it to "find" LTE again, or power cycle and get it back after reboot. 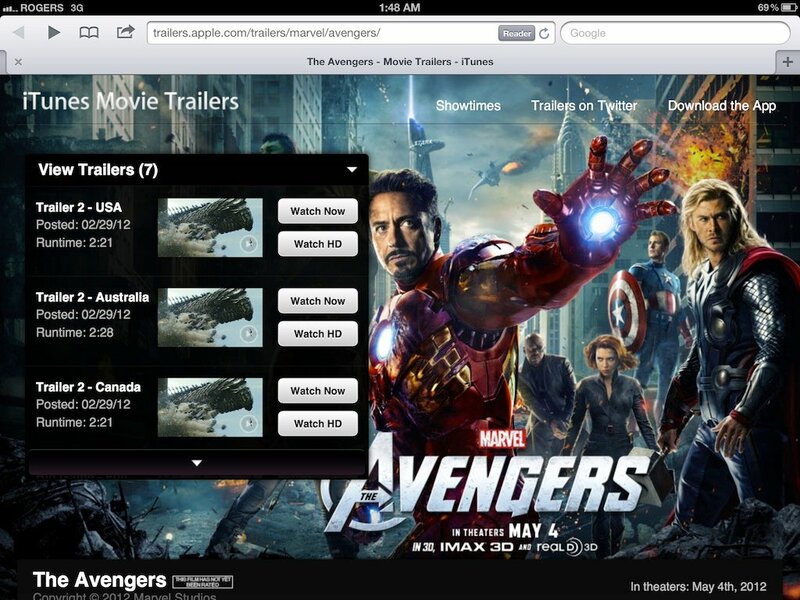 After the reboot, I put the LTE radio to a more real-world test -- streaming the Avengers movie trailer in HD. (I could have gone with Prometheus but Avengers had a Hulk...) It worked flawlessly. The trailer began to play almost immediately and never once stopped or stuttered. The download indicator stayed well ahead of the play indicator the whole time. It was as good as being on Wi-Fi. Fast Wi-Fi. HSPA+ didn't do nearly as well. The trailer started playing almost immediately but also came to a screeching halt almost immediately as well. The download indicator limped ahead, but at no time did it race the way LTE did. Apple might send lower resolution or lower bit-rate video to slower connections, so I'm not sure HSPA+ was even taking the same load, but either way, it wasn't up to the task. Like the previous tests, I repeated each 3 times for consistency, and also drove around and tried them in several other locations, though I haven't gotten more than 2 bars of LTE, and in some places I haven't been able to connect to LTE at all. Overall, however, both the new LTE and the new HSPA+ antennas in the new iPad are impressive, the LTE most of all. If always connected, on-the-go internet is important to you, and you live, work, and travel to places with LTE coverage, you want this. Something to keep in mind for those considering the new iPad on Verizon LTE -- while the AT&T and Canadian LTE models fall back on the impressive (for downloads at least) HSPA+, the Verizon model falls back on the anemic EVDO Rev. A, which averages 2 or 3Mbps. I wouldn't even attempt to play an HD trailer over that. I'd wait to get back to Wi-Fi. It would probably take less time.